Do governments have a hand in commenting on news articles on sensitive subjects? Looking at some of the heated comments on articles that are published by The Diplomat is a reminder of a trend that many might not be fully aware of: intelligence agencies around the world using the internet as a tool for promoting their respective national interests. Many of the comments and letters to editors published in international newspapers, magazines and journals are likely generated from the desks of intelligence agencies. Indeed, sources have told me that many intelligence agencies have dedicated sections for responding to articles and reports that touch upon vital strategic issues. These cyber writers typically have several email accounts opened exclusively for this purpose (often having seemingly innocuous IDs like [email protected] or [email protected] or [email protected]) to attack or support writers depending on whether an agency supports or opposes a particular writer. If you don’t believe me re-visit the most commented articles on the web, and you’ll see a pattern—and it’s not just the fact that someone writing on, say, Chandni Chowk (which used to be the marketplace and cultural centre in Delhi during the Mughal period) will likely fail to attract any comment at all. It’s the way writers touching on sensitive, strategic issues pertaining to a rival state (as I did with ‘India Responds to China Navy’) are often so quickly set upon. 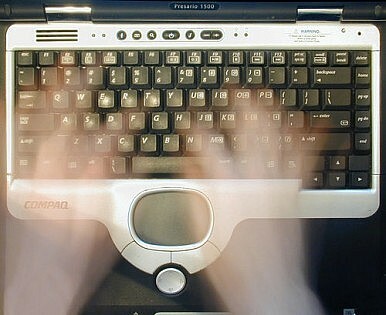 These ghost writers are the phantom warriors of cyberspace. Once you know this secret behind the commenters, many of those letters to editors become clearer. And maybe your blood won’t boil over highly provocative letters to the editor launching personal attacks on the writer.